Le’Taxione™, known to his brothers and sisters in the gangs as “YoYo”, is a student of the human condition and a specialist in the mentality that causes destructive gang violence. Never denouncing the gang, he now utilizes his own life experience to change the violence prevalent in gang culture, in a productive and sustainable way- “from the inside out®”. 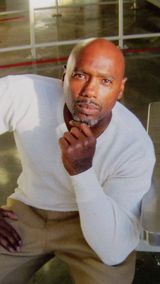 His work paints a picture of the psychology present in the development and growth of a gang banger. It is focused on the gang lifestyle, mentality and culture…all pointing towards a transformation, experienced by Le’Taxione™ , and possible for all those who suffer from the destructive mentality evident in today’s gangs. In addition to his experiential knowledge of the miscreant aspects of the gang mentality, Le’Taxione™ is a scholar of a wide array of various disciplines, including psychology, sociology, religion, biology and physiology. In this work, he brings to bear his extensive studies and his own life experience to illuminate the psychology of the gang member, an illumination necessary to aid the gang member and ultimately the community in the quest for healing and transformation. His work is based on the premise that to change the actions, one must change the thought process that drives such action.